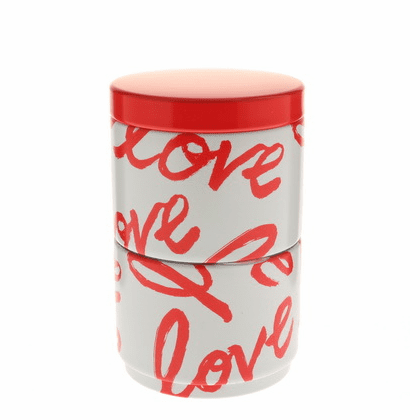 White & red "Love" design tea canister. Has an inner plastic lid to keep the bottom canister fresh. Holds 60 grams (2.12 oz.) each canister. 3-1/4 inches in diameter, 5 inches tall.